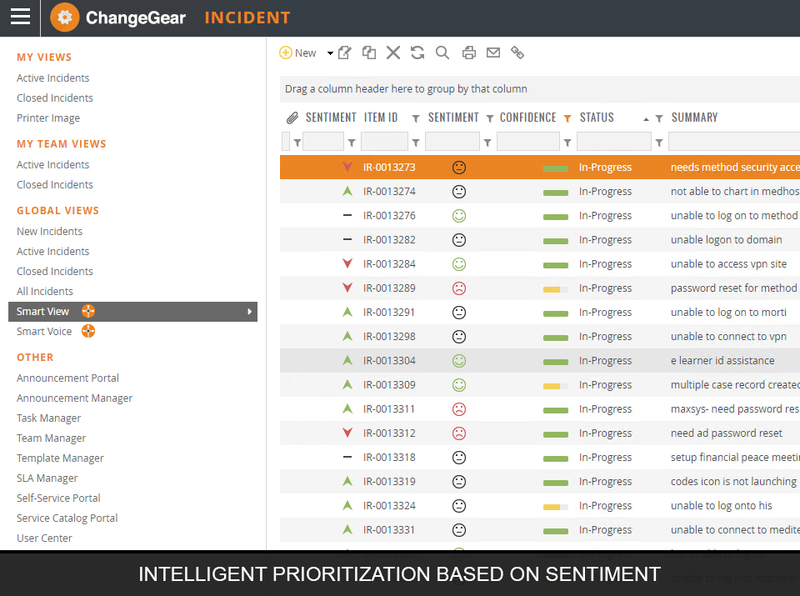 ChangeGear is implemented for hundreds of enterprise organizations in all vertical industries. We serve customers in healthcare, technology, energy, government, finance, education and more. 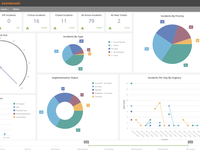 ChangeGear by SunView Software delivers a robust ITSM solution for enterprise with advanced service management features, ITIL-based modules, an AI and machine learning platform, and more. 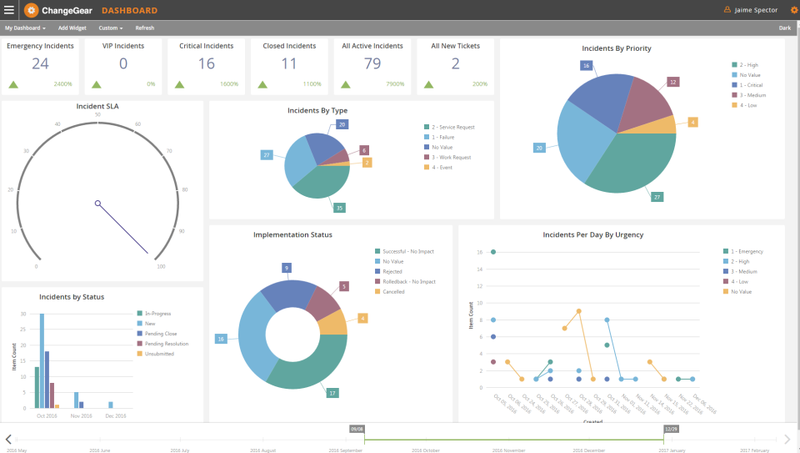 Get everything you need to easily build, configure, automate, and deploy services for IT and beyond like incident management, problem, change, self-service, HR Onboarding, Facilities, and more. Get started quickly with out-of-the-box essentials. Pros: Everything. ChangeGear has made an immediate impact in our facility by allowing us to create relationships between different ticket types, engage with the End User via Self Service/Surveys and has allowed us to enhance our Change Management process. We now have a Service Catalog that details our services and is published to our Customers. The ability to customize the ChangeGear application to meet our environment made the implementation process very smooth. The Sales team did a great job in meeting our financial needs as well as facilitating a smooth transition to the implementation team. The implementation team was quick to answer questions and ensure our initial setup/installment was flawless. The Professional Services Team has been informative and patient while configuring the application and teaching our technical lead. The Support Team has been courteous and diligent in making sure any issue is resolved quickly. Access to their Self Service Portal provides a multitude of knowledge base articles that allows me as a customer to resolve many of our issues by myself. Cons: There are no error messages when two technicians are in the same ticket trying to update the ticket. Sometimes you cannot find exactly what you are looking for in their Knowledge Base but a submitting a ticket to their support team will get you the answers you need to any issue you might encounter. The user manual and administrator manual can lack information; however, what you don't find there you can find in MySunviewSoftware Support KB articles. The manuals need the screenshots updated as well. Overall: Our Change Management process was over-hauled and we now have the tools in place to track/manage our changes. End Users now have a knowledge base they can access to assist in resolving their own issues. The email notification and rules within the Email Connector allow tickets to be worked/processed/closed all through email responses. The use of the Service Catalog allows the End User to enter tickets and decide from a list of our services what they actually need to be able to efficiently do their jobs. Pros: There is plenty out-of-the-box forms that follow ITIL standards which made it helpful for our organization to jump start into it. The simple end-user front-end, the Self Service Portal, makes users feel comfortable with entering requests without the need to look over complicated. We have had no complaints from our end users about the product. 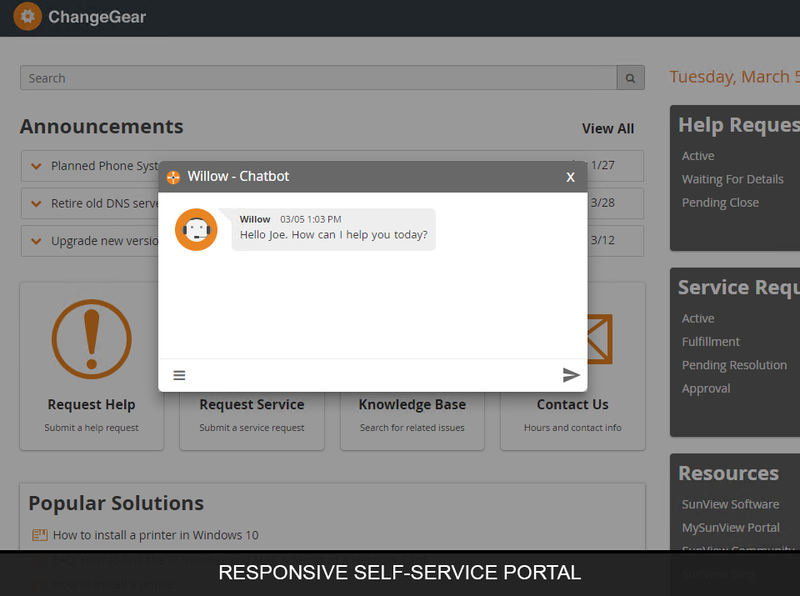 It is very "easy on the eyes" with a clear and precise web interface for our service desk technicians. The knowledge base along with the smart technology makes it easy for technicians to find resolutions much quicker than in the past. Cons: Customization can be a challenge. Creating forms is rather clumsy and if you make a mistake, it takes some time to correct it. Updating from one version to another is also challenging since it is an update in place and not a migration. There is a roadmap where this will be updated in a future release of ChangeGear. Overall: Overall, we are extremely pleased with the software. The support staff and professional services are always on top of their game. When there is a problem, follow-up is quick and resolution comes shortly afterwards. Highly professional across the board. If you meet them at a conference, they are pleasant to work with on your issues and always open to suggestions. It's nice to know that there is a good team behind the product. 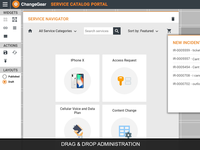 Pros: Among the most adorable features about ChangeGear Sunview Software, there are the solution's integration capabilities. It is really perfect to have an opportunity to enhance our efficiency by uniting ChangeGear features with, for instance, Jira, Cisco, Oracle, Microsoft System Center, and Salesforce abilities. And this is just a small part of the third-party solutions included. Cons: What our team appreciates least about ChangeGear software is the need to reset the program after making alterations to fields or forms. We would definitely like the service to have an opportunity to add some documents in different formats to the knowledge base. Besides, it would be a great feature for our team, if the program had opportunities for the integration with the mobile system to automatize the process of creating tickets with the necessary data in such a way. Overall: If you want to overhaul your company's approach to change management and in general improve your business compatibility, then ChangeGear Suniew Software is the solution of your dream. Tracking and management capabilities of the program function perfectly. The same we can say about numerous other their features. Overall: My company has been using ChangeGear for approximately two years. We love the product's ease of use, administration and feature sets. The initial price tag was VERY competitive. We found that the product can deliver Enterprise level capabilities at the price point of a typical SMB product. The support of the product has been great when we have to use it (which is almost never). They deliver the product in many forms including Public cloud, Hybrid or on-premise. SunView is highly committed to product development as evidenced by the latest features inherent to ChangeGear v7. Many would consider them a visionary or leading-edge company in the ITSM industry. SunView is also easy to do business with and you will be treated like a family member. Go just buy it. You won't look back. Recommendations to other buyers: Go just get it! Pros: I can configure everything in the change management system from the GUI to the backend workflows. Change gear is by far one of the most stable out of the box experiences i have come across. Cons: The reporting could be a little more detailed out of the box to make compliance easier to manage. although Sunview provided us with a SSRS plugin to give us the details we need to meet our compliance requirements. Overall: We came from a paper change process before but change gear allowed us to move to digital approvals with an audit trail and a centralized place to store evidence for every change that takes place. Overall, from approval to completion the time it takes is nothing like it was before. We get results instantly. Pros: We enjoy the application flexibility to make changes that suit our business needs and processes and not being held to limitations due to functionality. Cons: What we like least about the software is the need for customization's that would require Professional Services. If resources are out there, they should probably be made available to the customers to follow and implement on their own. It would be nice to include better reporting capabilities and functionality. Overall: Customer email notification and trending to forecast needs and change business processes. 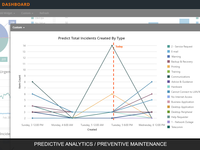 It also tracks what customers need more help with which has resulted in projecting future expectations. Pros: It has modules to accomplish just about everything you could ask for that are simple to use and understand! It fully integrates into your environment and provides tools for you to use to better manage everything from issues and service requests to knowledge and assets! Cons: I would like to be able to import MS Word documents or PDF's for the knowledge base. It would also be great if it could integrate with the phone system so that when a user calls, a new ticket auto-populates with their information. Pros: The software is very flexible in what it can do, allowing us to meet business demands quickly and efficiently in an ever changing environment. Cons: The automation for forms could be streamlined some more, but this appears to be an issue that will disappear, as with each release they're improving the automation. Overall: Tracking of all Incidents, Requests, Problems, and Changes in our environments is easy to track and report upon. I'm able to take requests from our business and turn out solutions quickly and efficiently. 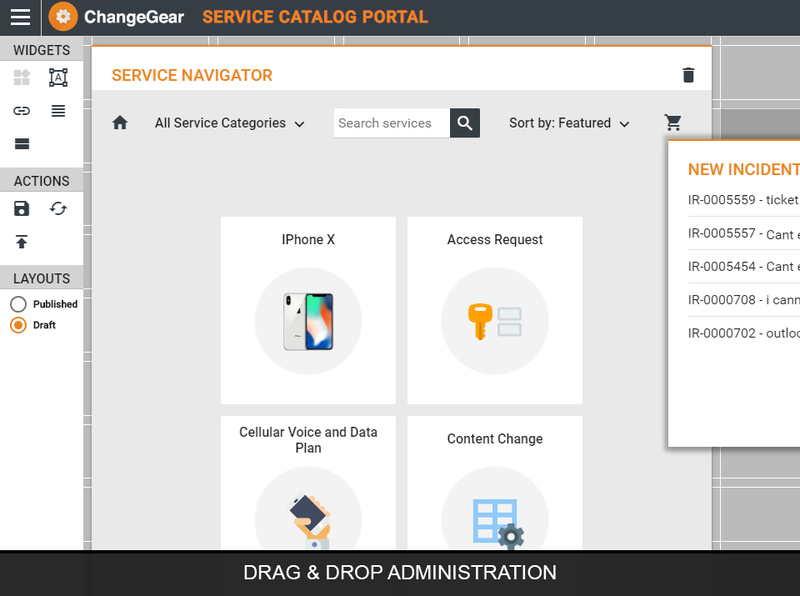 Pros: ChangeGear is easy to use and customize for our needs and anytime I have had to contact Customer Support I have gotten quick knowledgeable responses and resolutions to my issues. SunView listens to their customers suggestions and is continually working to improve the product. Cons: There is not really anything that we dislike about the ChangeGear product or services provided by Sunview. Overall: We are better able to manage our incidents, service requests and changes. Pros: Ease of configuration and flexibility of the product. New features that are added recently such as Task Spawning, Multiple Workflows, Intelli Search etc. Cons: IIS needs resetting after changes made to forms and fields. May be they can do something that it would not require user to reset it. Pros: This software solution hits all of the marks in regard to product offering and meeting the needs of the business process. The solution has a wealth of functionality and can be easily tailored to fit any organizational business process as it relates to change management. It is very easy for the business to use while ensuring that it provided enough content to support an established change management process. Cons: The least favorable aspect to this solution is its complexity. The complexity is enough to customize the solution to a wide range of needs for change management. However, the customization can be a tedious task that may desire for one to obtain more from the solution. And the solution can provide more is that is what you choose. Overall: My experience with ChangeGear is probably considered as advanced. I have worked with the solution for years and have trained internal staff on how to properly use the solution for our change management needs. I would not consider myself as an expert with ChangeGear as I have been limited on the changes I would make to this solution. Such changes would require paid support for customizations and we were not in a position to travel down that path. Pros: Great functionality and ease of use. Cons: Could be confusing for new users. Overall: Change gear, although wasn't the prettiest, was essential to what our company required. Easy to use, appealing interface, fast. ChangeGear was loved by all because of it's functionality. I would say it was my favourite service management application. 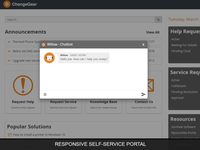 Pros: The self service portal for our customers is very well received. Cons: The version that we are currently on makes it difficult for Service Desk staff to know what is in their workload, but the next version of the software is changing this. Overall: Our overall experience with the software is great. The vendor is a valued business partner and is always making improvements and asking how they can be better. Pros: The ChangeGear software is feature-rich with all the modules necessary to create an ITIL based service management process. Easy to configure ticket workflow with notifications. Customizable data entry screens. Customizable (everything in this system can be customized from the interface to the database) reports and dashboards. Cons: The software interface is somewhat dated and hierarchical. Overall: We purchased this software to better understand customer demand and to better document our internal change process. The software meet this goal, easily. Now we're using it so that customers can perform self-help and agents can document and learn solutions to standard problems. Pros: There are many prebuilt workflows which follows ITIL standards which gives the customer a base to design according to their business needs. Very customizable and useful product. Pros: I liked best that the vendor worked with us on suggestions on how to increase certain capabilities of the product. They also made migrating to this product very simple. I also liked how the vendor thought logically about the functionality of the product and how it would be used in real world scenarios. Cons: I have not ran into what I consider what I like least about the product or vendor. Recommendations to other buyers: It seems every company has their own certain way of doing change control, but having a tool that is customizable to your needs makes that process a lot easier. With that said walk through a change scenario with this product first and be open minded and I think you will see how logical it already is. Pros: The end users love this software. If you have a good programmer on your team, this product will do just about whatever you want. Cons: Need someone that understands the "back-end" to program all your customizations. There is a lot of lag time when trying to enter a ticket; sluggish. Overall: Currently we are strictly using this as our IT Help Desk Ticket Management System. Pros: ChangeGear provides Flexibility and Configurability in a package with a clear ITIL orientation. It seems to be a good value, considering the balance of sophistication and cost. Cons: It is very challenging to implement in a non-Active Directory environment; although it can, in theory, work in a non-AD infrastructure, it is far from easy to make it work. The agent-less computer scanning is a nice feature in theory, but it can also be hard to use. Overall: Our experience has not been positive, so far, but that is largely due to the combination of challenges presented by our non-typical environment and a lack of time/effort to make ChangeGear work. We haven't completely given up yet, because we see the potential. Pros: The Customization and flexibility of options available at a competitive price point. Ability for users to submit their own tickets, monitor the progress and interact with technicians. Support teams that are engaging, quick to respond and knowledgeable enough to identify, solve, or guide you to a resolution. Cons: User and Admin. manuals can lack information but since the system is so configurable I am not sure they would be able to account of every possibility. More than 1 technician can be in the same ticket at the same time. Modules do not always contain the same basic field options. Each module does have various module specific fields but it would be nice to have a standard set across all modules. Pros: This software has a nice and clear interface. Quickly you can run into the product if there is time. Developers eliminate the problems that arise during implementation. Cons: The program has no localization. Designed for English-speaking countries. Self-localization is complicated. Old version of the program is available for the user on the site. Updates are sent through support. Sunview Software is a great company to work with. ChangeGear is Great. 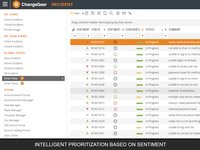 Pros: The ChangeGear product has all the tools needed to run a successful incident, change and help desk system. I have been a user for many years and the team at Sunview has always been top notch. Any questions, concerns or issues the support folks were right on it. Cons: There isn't anything that I have personally come across that couldn't be handled in a timely manner. Not one piece that I would do away with. Recommendations to other buyers: Sunview Software ChangeGear is really a one stop application when looking for the total package. Pros: Ease of use by end users through an easy UI and email notification system. Cons: Difficulty in applying updates and upgrade to the system without running into issues that require Sunview support. Pros: Everything: It's complete solution that can expand and grow with your organization. It starts with the basic solution and can evolve to enterprise level all in one system ( which way to much for our organization) We got the base held desk solution and I found the feature list is way beyond what we need. Cons: Certain customizations you need to know what you're doing or you can do some damage. To hide some of the default forms I wasn't able to do it myself and needed assistance. as well as few other little mods required direct manipulation in XML files so you need someone who know where it is. Overall: Automation of a lot of routine task right out off the box. a better data tracking and reporting. Pros: Change Management System works very well and complies with all our needs. Reporting and filtering design is unique and very customizable. Cons: CMDB functionality is lacking somewhat. You can manage who sees certain assets, but you cannot manage who sees specific fields in an asset. Pros: ITIL format... that has came handy for us. Service Request to problem Solving to RFC part is nice. Customization is nice as well. Cons: Learning curve.. It requires dedication and set up. Probably better to have the vendor set it up for you. Also software is latent so difficult to use in a high speed work environment. Overall: I think software can be used effectively if configured in its full capacity. The customization is nice but requires a dedicated person which e do not have the resources for. I like the features but did not have time to learn how to make the best use of it. Pros: The product allows a lot of flexibility to be adapted to the needs of our company. Able to automate a lot of functions and services that were manual to us before. Cons: With flexibility comes risk and some of my pain areas are the support services (pay for support) has degraded since I first signed on and are difficult to arrange. When I do get someone I don't feel I get the value as many times it has to have several follow up calls to get it right and I get charged for the extra hours. Also, my account support has degraded since signing on with my initial account rep taking a new role. Recommendations to other buyers: Know your process and what you hope to achieve prior to shopping for a software to make sure what you pick will support your needs. Pros: Very impressive looking user interface. From the ITSM standpoint, all expected functionality is present. Cons: The biggest struggle was the implementation and the post sales support. It seemed that the folks doing the implementation weren't as experienced as i would have expected. The technical support is sub-par. Software is buggy. Pros: The flexibility of having the system do what we need while still adhering to ITIL. The Service Catalog, while some end users do not like it, the general opinion is positive and well received. Cons: We have implemented some newer technology (specifically, VMWare SAML) and they have had some technical limitations in implementing. We are making progress and support/dev is working to solve the problem. Overall: Stream lined access to various features. Good metrics that are easily obtained. We have just gone live with the product and things are going well. Report functionality is great. Pros: The Self Service Portal for the customers is great. Our customers are enjoying the ease of use. The creation of a ticket by email helps our customers that are out in the field daily. Cons: Since we are still learning how to use the software in a production environment, we seem to be having issues with learning which screen is the best to use for seeing all work. 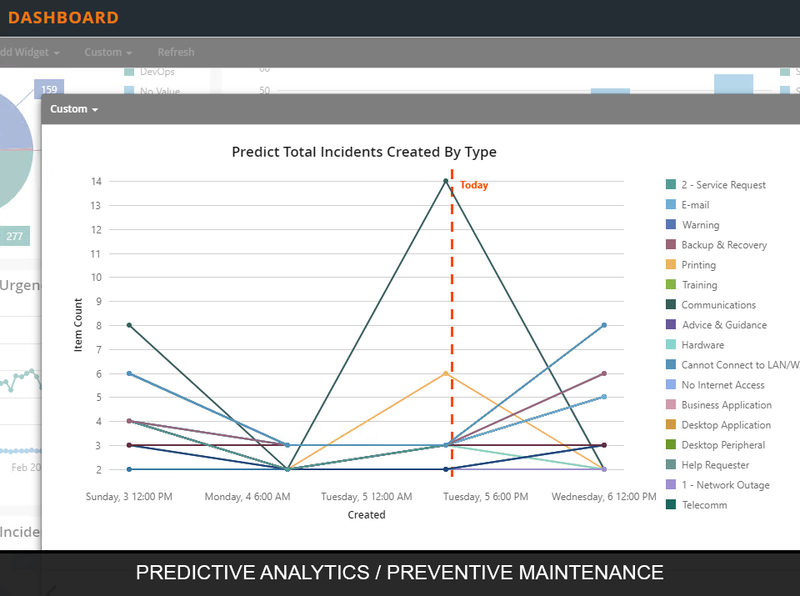 Overall: All of IT work is in the same area from Project Management to daily incidents and service requests. Pros: It's easy to install and easy to upgrade. The software is also easy to maintain. It's pretty much set it and forget it other than licensing changes each year. Cons: Sometimes, not often, tickets will disappear. This has only happened twice in two years. Pros: It's very customizable which is nice. It's also easy to use once it's configured. Cons: There are a lot of bugs and odd nuances with the product that is not mentioned up front. While we have had much of this acknowledged it still feels like a half baked product, or a software company that doesn't have enough people on staff to address things like they should be addressed. Overall: We needed a new ITSM solution (Incident, change, release, etc). Comments: We ran into so many operational flaws and deficiencies that we finally had to drop ChangeGear after only one year of use. Pros: Very customizable user interface. Work flows are easy to setup. Reports are easily generated and can be output in multiple forms. Cons: The email handling module is highly flawed. There are many operational bug in the coding. The system is not very adaptable to be used for non-ITSM rolls. Pros: It has a comprehendible gui and its easy to navigate. The automatic ticket creator through email is great when it works. Cons: Email connector service has broke at least 3 times and its currently been down for a week. Now we cannot close or edit tickets so its nearly impossible to track our work. I understand things go wrong but a down service should be resolved asap. It is frustrating and I do not recommend this software. The following error occurs when we open any ticket or click any ticket: ChangeGear has detected the following error. ChangeGear could not process your request. Please re-login and try again. Pros: I like the functionality. We used it for helpdesk and change management, worked great in both scenarios. Cons: Not so sure about the ability to customize, if you have a need for it should look into it, nothing else that was a con in my opinion. Comments: SunView's Professional Services team helped us configure ChangeGear Service Desk to meet our needs. We have implemented several modules including Incident, Knowledge Base, Service Request, and Self-Service Portal. ChangeGear has been well received by our end users and IT Techs. Pros: The software offers a lot of features.The CMDB is a nice feature. Asset tracking is also great along with Problem and incident ticketing. Cons: Took a while to program. Some programming took longer than expected. Recommendations to other buyers: Take a look at all the features that your company may need. Change Gear offers a lot of features a half the cost of other products. Comments: We are currently implementing this product. So far, as seen by various demonstrations and test drives of this product, it appears to be fully functional, scalable and user friendly. Changing workflows, form layout or what you are seeing on the screen is very easy. Customizing the workflows is not difficult, which, in conjunction with form modifications allows the users to make customizations specific to their needs. Poor communication and not very good for customer facing applications. Comments: Change Gear is great if you are only using it internally. Despite what their sales team would tell you, it requires extensive modification to even handle anything more than a few email addresses. Attachment handling and things as simple as email CC'ing are not available available out of the gate. The included modules are not very adaptable, inevitably requiring the customer to bend to suit its forms instead of bending its forms to suit the customer. The technical/implementation team is very knowledgeable, when you can get in touch with them. Trying to get them on the phone is more like "leave a message and maybe we'll get back to you." Bottom line, users will be very pleased with this product as long as they a) don't need it for any other department than IT, and b) don't need it to be externally facing. Comments: We have been using it as our main ticketing system for Incidents and Service Requests and also using it for our Change Management tool.